New analysis reveals that over half of the crops used to produce biodiesel in the EU have been imported and are not grown by European farmers. Transport & Environment (T&E), a leading European environmental NGO, has called for more “transparency” in the “opaque” biofuel industry following analysis revealing that 53 per cent of crops are imported. T&E’s analysis shows that the amount of EU-produced biodiesel from crops grown in Europe has remained stable since 2009 but that palm oil imports have skyrocketed to meet the growing needs of the biofuels market. 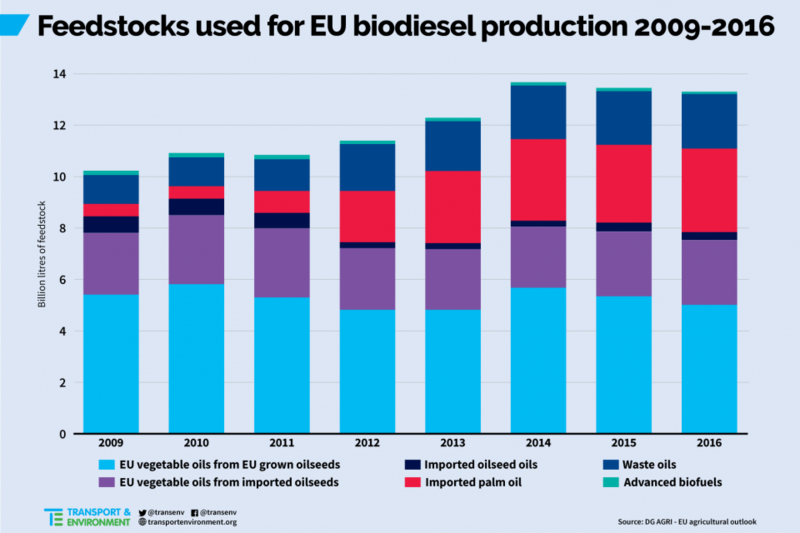 The 2017 EU Energy Statistical Pocketbook revealed that biodiesel, derived from rapeseed, palm and soya vegetable oils, comprises 80 per cent of the EU biofuels market. Bioethanol makes up the remaining 20 per cent. A T&E report from 2016 found that, on average, biodiesels from virgin vegetable oil can produce 80 per cent higher emissions over their full lifecycle than the fossil fuels they replace. Lifecycle emissions include land-use change emissions where cropland biofuel production displaces the current land use, in many cases leading to peatland drainage and deforestation. Clean fuels manager at T&E Laura Buffet said that the latest findings “run contrary” to what the biofuels industry claim. “EU crop biodiesel, including from rapeseed, is worse for the climate than fossil diesel,” she added. In April, European politicians voted today in favour of a resolution calling for a halt to incentives for biofuels used in the transport sector that is linked to deforestation and peatland destruction. 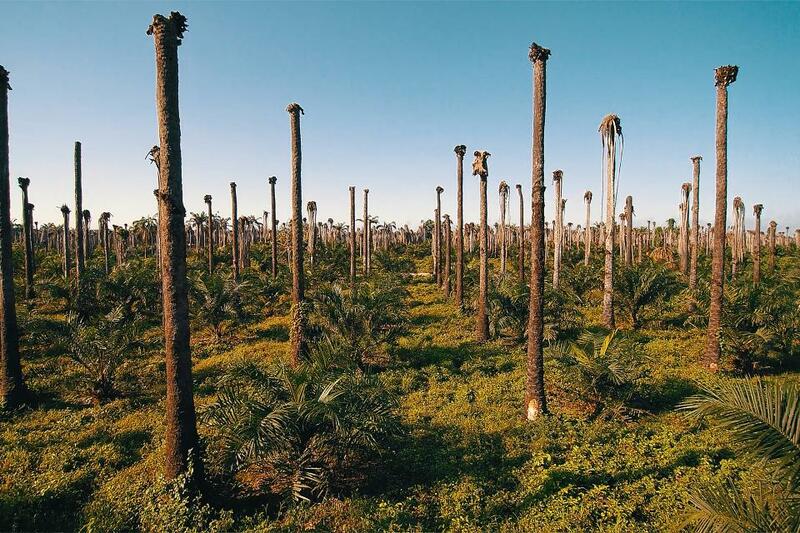 In 2015, 46 per cent of all the palm oil used in Europe ended up in cars and trucks. The EU’s current 2020 biofuel mandate calls for 10 per cent of the transport fuel of every member state to come from renewables such as biofuels. Groups across the political spectrum in the European Parliament gave their support to a motion calling on the European Commission to phase out crop-based biofuels in the new Renewable Energy Directive (RED). According to the Parliament’s resolution, this policy has caused an area larger than Leinster to be converted in Southeast Asia for oil palm plantations in place of tropical forest and peatland. The European Parliament is currently reviewing the Renewable Energy Directive, which will decide what role biofuels will play over the next decade. A vote is scheduled for 23 October 2017. 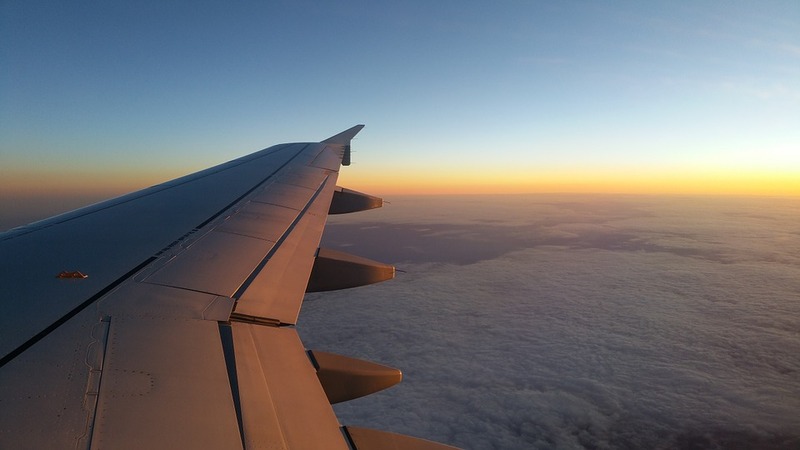 Last week, almost 100 NGOs from around the world criticized the plans of the UN International Civil Aviation Organization (ICAO) to move towards the use of biofuels in the aviation industry. Following this outcry, 25 countries rejected the ICAO’s proposal as laid out in the “2050 Vision on Sustainable Aviation Fuels”. Brad Schallert, Deputy Director at World Wildlife Fund, said that the plans “grossly overestimated the environmental benefits and potential emissions reductions” associated with a transition to biofuels.